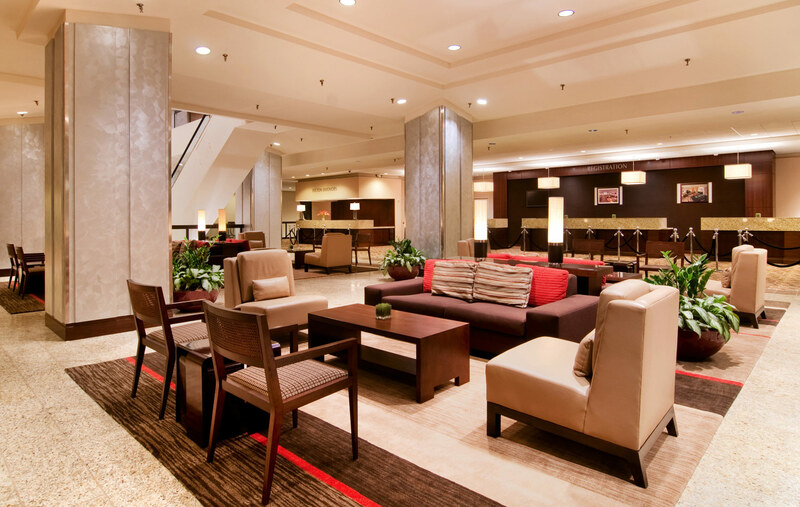 The transformation includes all 1,225 guestrooms and suites, as well as the lobby and atrium areas, meeting space, and food and beverage outlets. 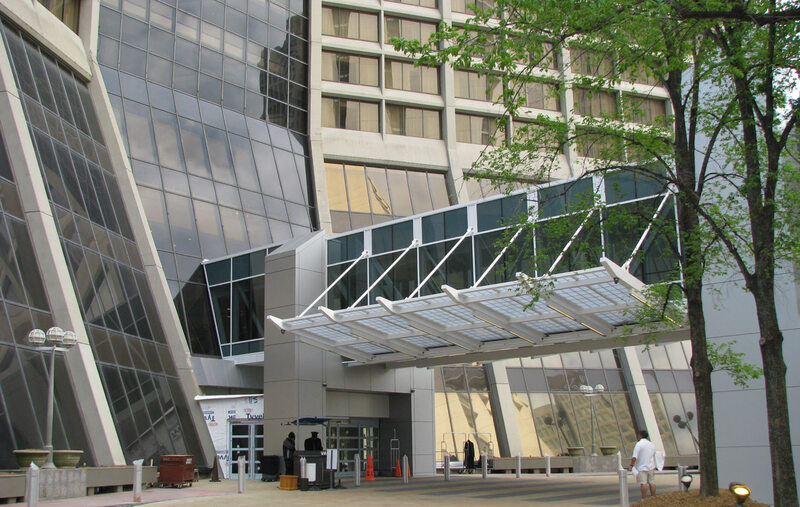 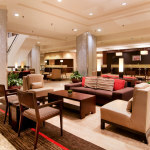 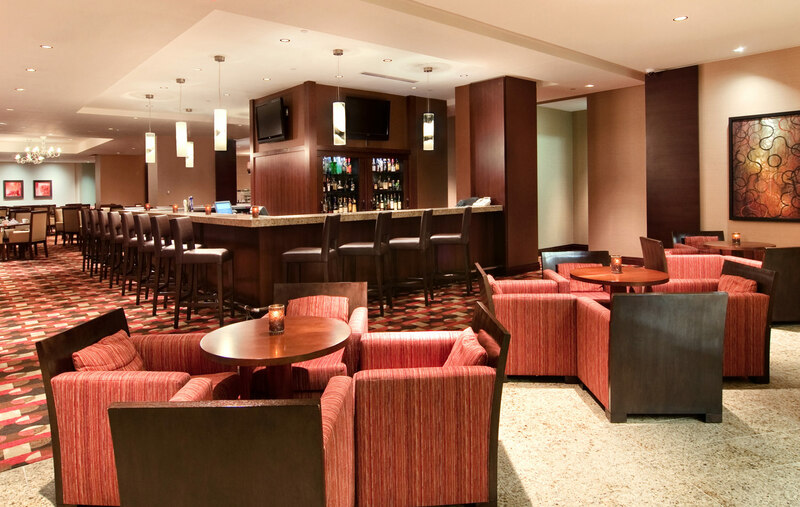 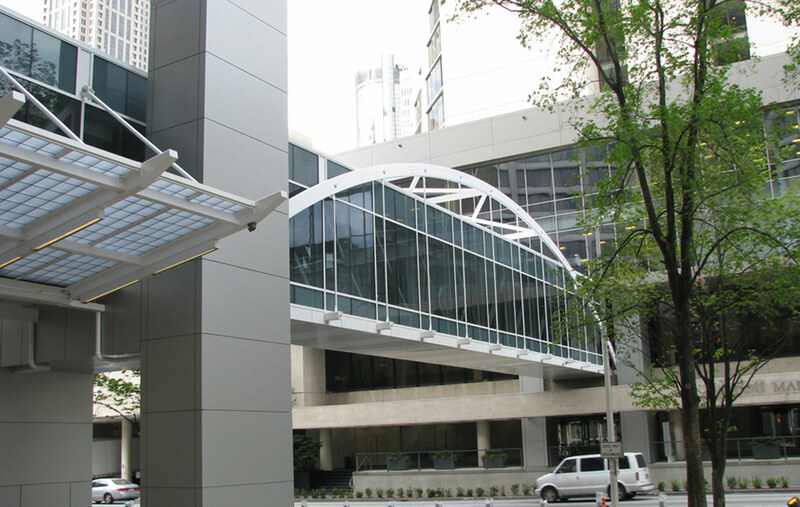 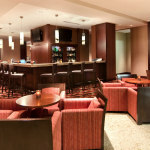 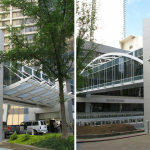 In addition, a new sky bridge connects the Hilton Atlanta with the neighboring Marriott Marquis Hotel so that meeting attendees can easily access the facilities at both downtown Atlanta hotels. 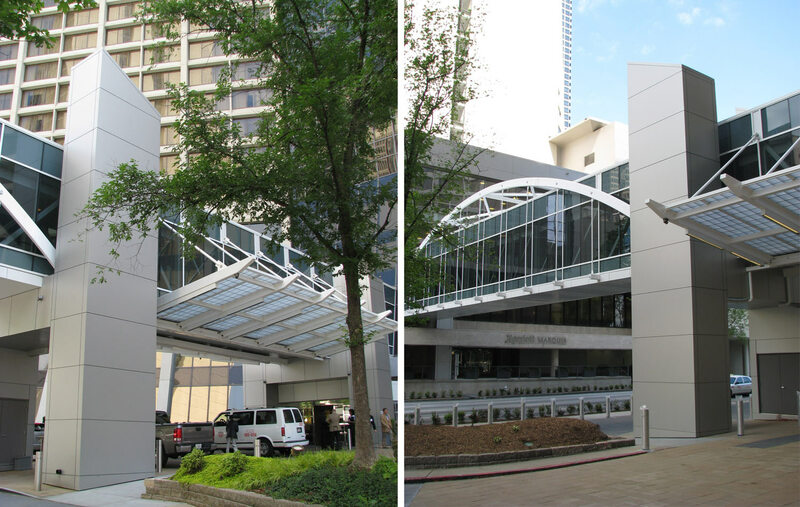 The creation of the new sky bridge adds an architectural element from the street and also creates a new sense of entry to the Hilton Atlanta. 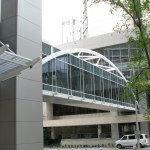 Now guests may enter from the newly designed porte-cochère on the street level or from the sky bridge directly into the second story of the atrium, which is also the ballroom level. 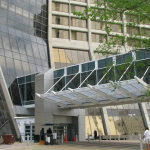 The street view of the bridge to the Hilton. 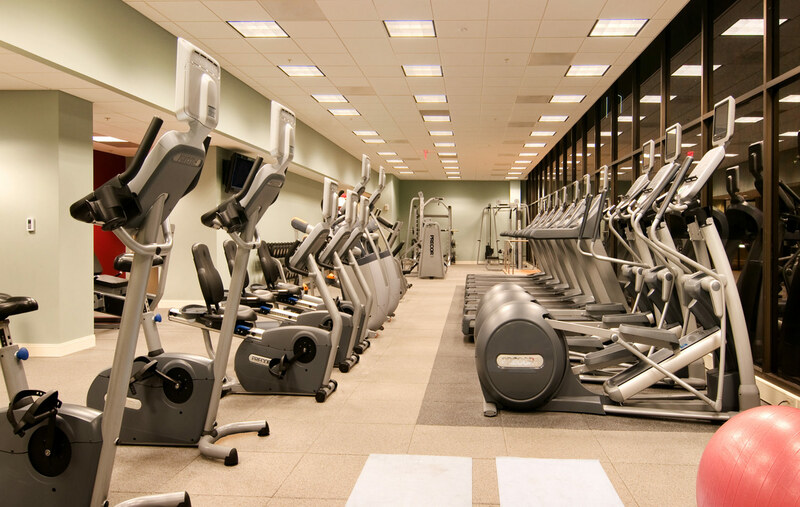 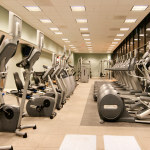 The gym at the Hilton.